7 years ago, in St. Teresa a lot of drama took place as the leading stars Alia Bhatt, Varun Dhawan and Sidharth Malhotra competed with love and friendship to win the coveted trophy- Student of The Year. Now Dharma Productions has made a massive production out of Student of the Year 2 and need we say it is impressive? One look into the trailer and you will know what we are talking about. Our gymnastic boy, Tiger Shroff aka Rohan, a poor lad entering a rich college on his bicycle, is all around the place fighting, dancing, playing, flexing his muscles and, obviously, doing more of his flips in the air. 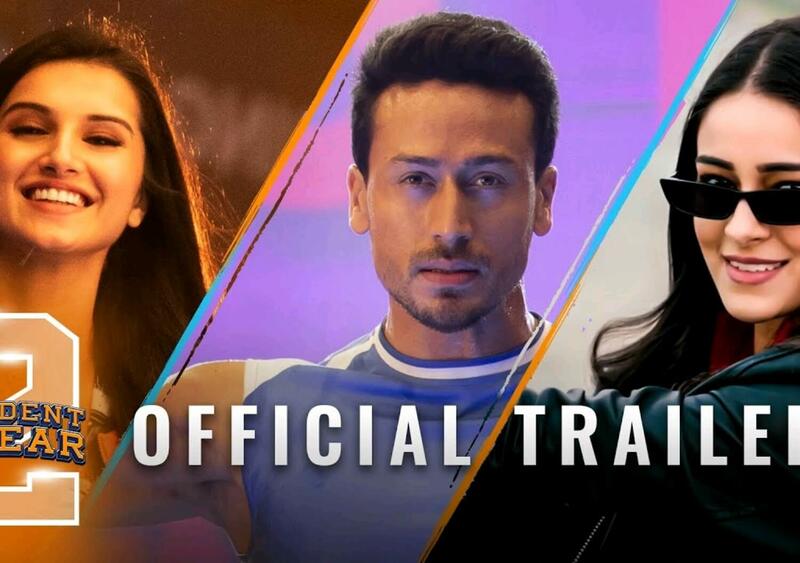 All that we could mostly get out of the three-minute-long trailer is that the film is all about Tiger while we just got few hints about what the girls are doing in the campus. Tara Sutaria, Mia, is a cute, bubbly and filmy girl in her own world and she wants to win the dance competition; whereas Ananya Panday, Shreya, plays the badass rich-girl, a feisty tomboy who isn’t afraid to speak her mind. And, as expected, there is a love triangle waiting to add on to more drama.